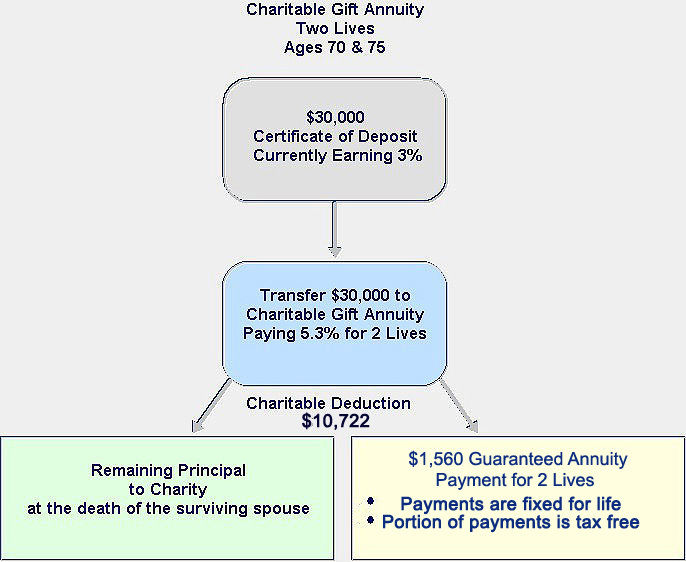 Charitable gift annuities are life income gifts that have become very popular with donors concerned about future income. 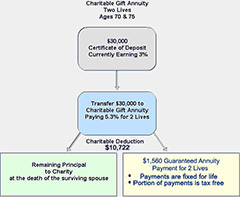 Many seniors are utilizing funds previously invested in CDs to acquire gift annuities which provide attractive rates along with income tax benefits. Regardless of your age or the timing of the income, you can take the charitable deduction for a portion of the gift in the year you make the gift. A portion of the payments you receive each year may also be exempt from income taxes. You can even reduce your capital gains tax by using long-term appreciated securities to make your gift. Your gift annuity can also help provide for others while making a charitable donation to the Mission. You may request a two-life annuity and provide lifetime fixed payments not only for yourself, but for your spouse, child, or other loved one. Below is a chart depicting current annuity rates for different age groups. Rosie and Jack (ages 70 & 75 have invested in CDs for many years but have become concerned with the low rate of return that this investment generates. Jack and Rosie have decided that when their $30,000 CD matures, they will transfer it to a Charitable Gift Annuity (CGA). Based on Jack and Rosie’s ages, the CGA will pay them 5.2% ($1,560 per year) for their lifetimes. 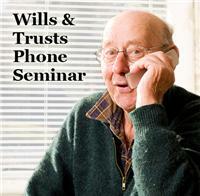 In addition, they will receive a $10,722 charitable deduction and a portion of their income payments will be tax-free. They also have the satisfaction of knowing that after all the payments have been completed, the annuity value will be transferred to the Mission.